Home France’s answer to Superman? America has Superman and Spiderman. Belgium has Tintin. France has a mini version of the three but with superhuman strength he acquires – all due to consuming a magic portion. At this age when Marvel and DC comics are in the picture and Tintin has transcended into the silver screen by the capable hands of two top film makers in the world – Steven Spielberg and Peter Jackson – it is no wonder that France wanted to give some CGI effects to their own underdog and rekindle a work of art which has put the country on the global map. Thus the country has rejuvenated its favorite Gaul is back in this second CG-animated adaptation of the popular comic book series. After successfully rebooting the ‘Asterix’ franchise into a clever CG animation movie with 2014’s ‘The Land of the Gods’, writers-directors Alexandre Astier and Louis Clichy offer up a lively if less-enlightening follow-up with ‘Asterix: The Secret of the Magic Potion’ (Asterix – Le Secret de la potion magique). 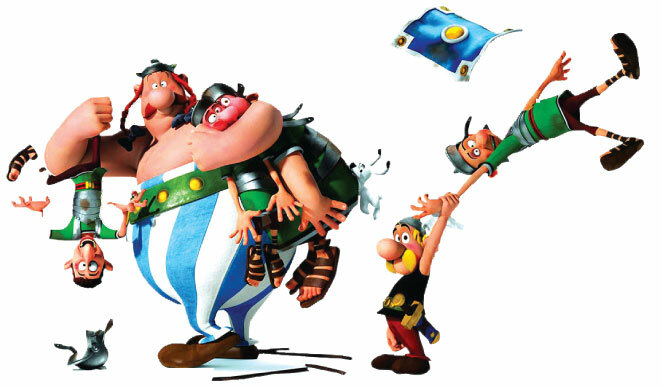 Filled with gags and pop-culture references, this latest tale of the well loved Gaul suffers from a brand-new storyline that fails to convince in the way of the original comic books from the 1960s and '70s, which were written by Rene Goscinny and illustrated by Albert Uderzo. While ‘Land of the Gods’ was adapted from a 1971 comic that humorously dealt with questions of urbanization and modern living, ‘Magic Potion’ is much more of a cartoonish, kid-friendly affair without much depth. Voiced by comedian Christian Clavier, Asterix along with his barrel-bellied friend Obelix and the wise magician Panoramix are on a quest to find a successor to safeguard the magic potion. An evil wizard named Sulfurix does everything he can to steal the potion’s secret recipe. Noteworthy music cues like “You Spin Me Round” and plenty of slapstick follow. Jokes and action keep on coming. There is a lot of tongue in the cheek humour but the story and production holds very little depth. 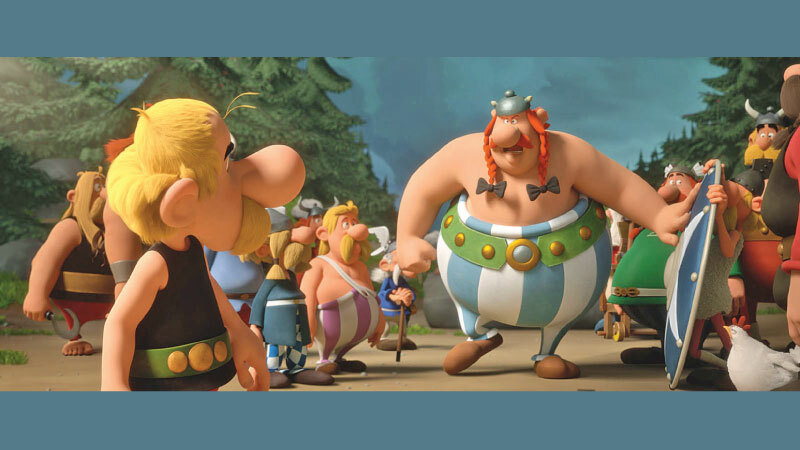 Since filmmakers Louis Clichy and Alexandre Astier have decided to isolate the story from the Asterix series natural flair to include social and political references, the production has lost its meaning and value which is the hallmark of any ‘Asterix’ related work of art.